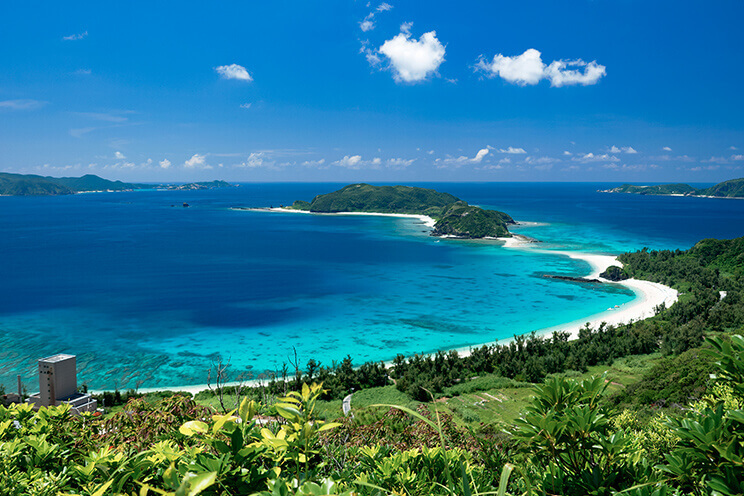 Zamami Island is about 50 minutes by express ferry from the main island of Okinawa. The stunning sea designated as part of a national park is referred to as “Kerama Blue,” and the island is now known worldwide by this name. Not only does the island offer marine activities, from diving, which can be enjoyed throughout the year, to whale watching in the winter, but with its rugged terrain, it is also popular for the scenic spots scattered throughout the island. Tourists and repeaters from all over the world visit Zamami Island, where you can enjoy the “Kerama Blue” ocean from both land and underwater. Furuzamami Beach on Zamami Island is the main beach on the island, and the breathtakingly white sand extends for more than 800m. Many tourists visit the island every year and enjoy the Kerama Blue, which stretches out into the distance before their very eyes. 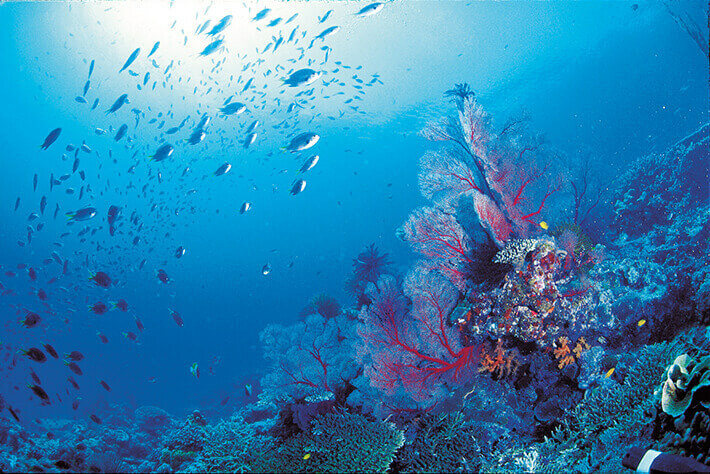 At Ama Beach in Ama Village, you can enjoy snorkeling and other marine activities. 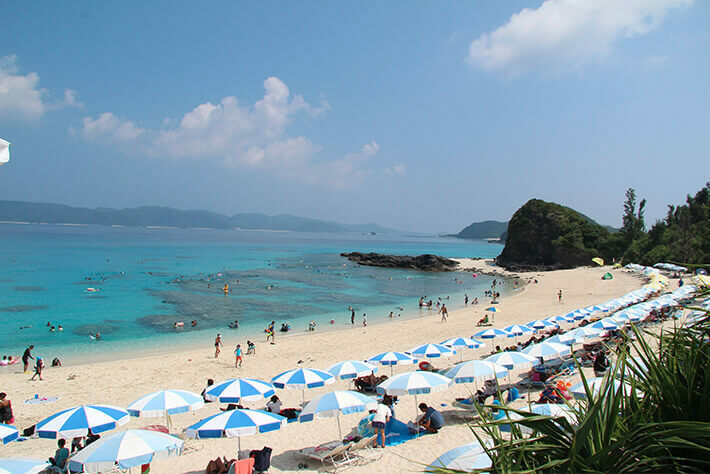 Ama Beach is also one of the well-known beaches on Kerama Island where you will certainly find the contrast between the white sand and the highly transparent ocean to be quite dazzling. The sea of Kerama Blue that has come to be cherished throughout the world will surely find a place in your heart too. The Sunset from Marilyn's Statue. Among the many locations to enjoy the sunset on Zamami Island, the view of the sunset from Marilyn’s Statue, which is a short walk from the port, is highly recommended. Shiro would swim across the sea from Aka Island to visit Marilyn who lived on Zamami Island. The movie based on a true story about the dogs that lived on the island became a hit in Japan. 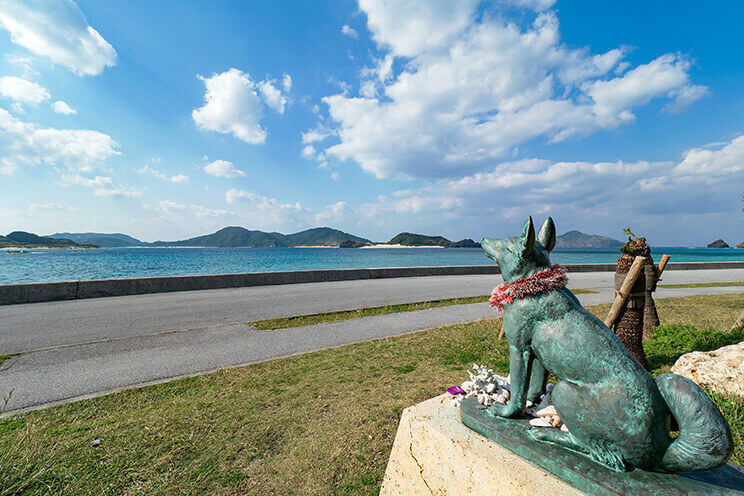 Marilyn’s Statue on Zamami Island gazes into the direction of Shiro’s Statue on Aka Island. Taking in the sunset while thinking about the scrupulous pure love between Shiro and Marilyn will take the beauty of the view to a whole new level. Once you make it past the village near the port, the roads on Zamami Island become quite hilly. Because of the rough terrain, there are a number of points that offer a magnificent view. Among them, Mt. 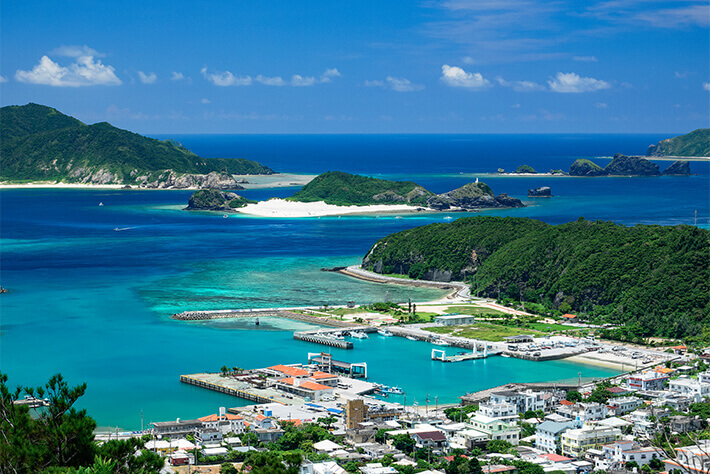 Takatsukiyama has an observation deck that overlooks the Ago no Ura Bay and Tokashiki Island as well as the main island of Okinawa and another observation deck that overlooks Furuzamami Beach and the uninhabited Amuro Island, both of which offer amazing views. This location overlooking the Kerama Islands also has a wonderful night view.